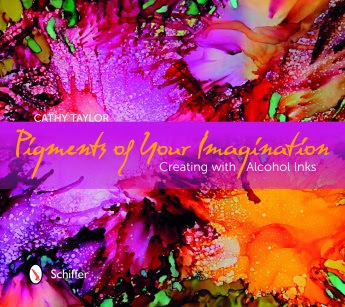 I just received Cathy Taylor’s wonderful book “Pigments of Your Imagination.” She has very clear instructions for a wide variety of techniques and beautiful examples. Jill Berry did a video going through the book so you can get an idea of all of the wonderful ideas in it. 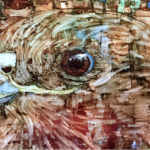 1 responses on "Just Got Cathy Taylor's Alcohol Ink Book"
The book looks very interesting! 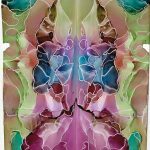 Sheryl, you are so talented, you could write a book youself about Alcohol Inks! !